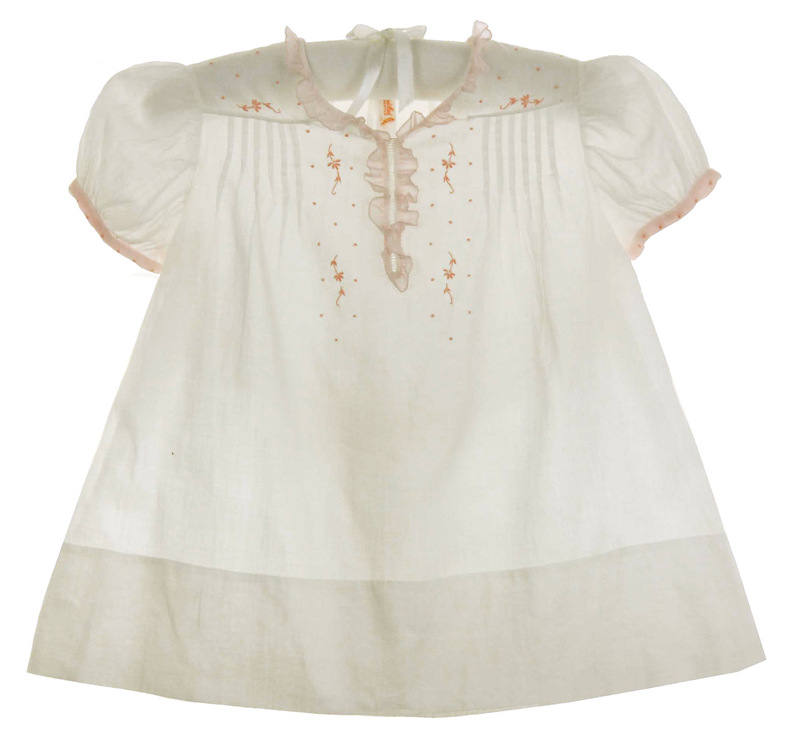 This gorgeous white cotton dress was hand made in the Philippines in the 1940s by Feltman Brothers. 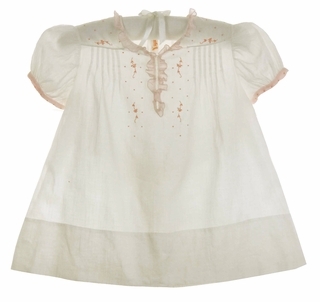 It features a pintucked bodice with pink embroidered flowers and French knots. The neckline is finished with a sheer pink ruffle. 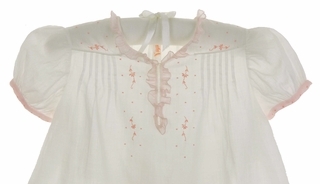 The short puffed sleeves have pink embroidered turn back cuffs. 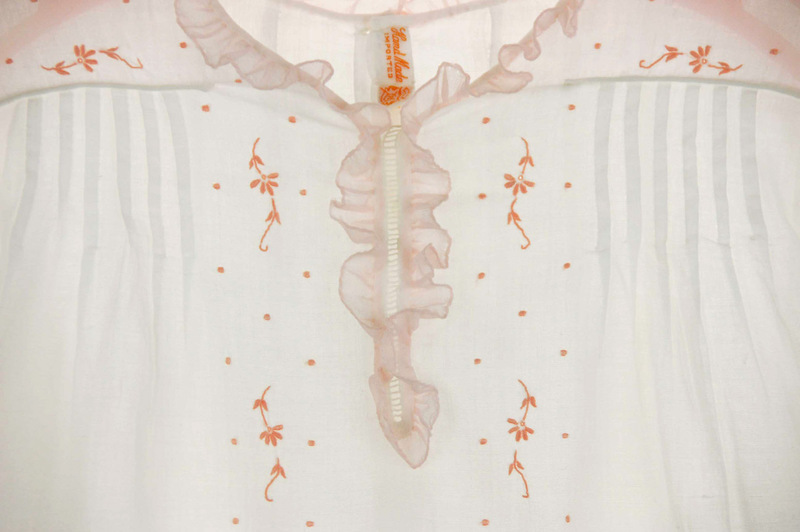 The dress has a deep 3" hem. 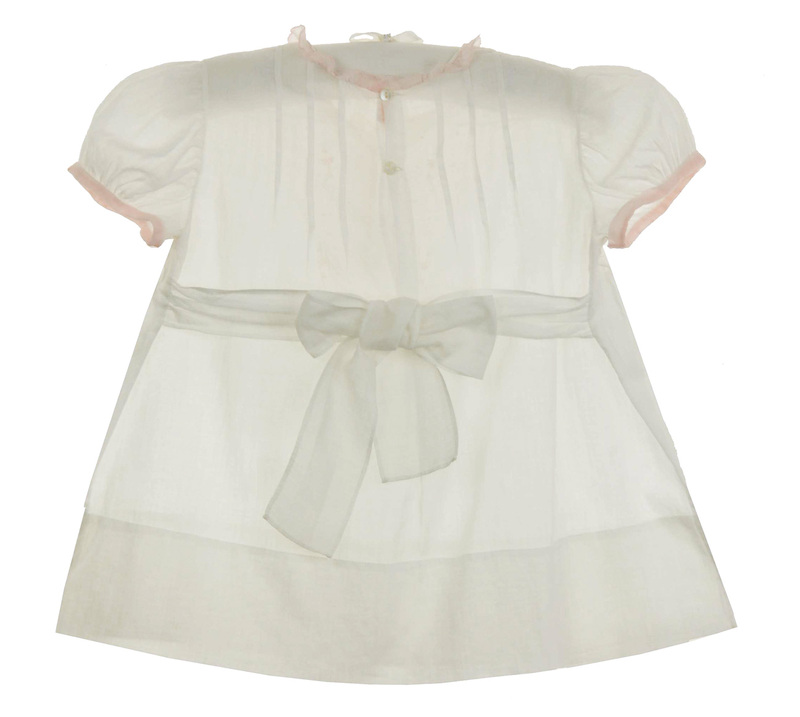 The pintucked back closes with two small shell buttons and has a white sash to tie in a bow.